Defining 'magic' is a maddening task. Over the last century numerous philosophers, anthropologists, historians, and theologians have attempted to pin down its essential meaning, sometimes analysing it in such complex and abstruse depth that it all but loses its sense altogether. For this reason, many people often shy away from providing a detailed definition, assuming it is generally understood as the human control of supernatural forces. 'Magic' continues to pervade the popular imagination and idiom. People feel comfortable with its contemporary multiple meanings, unaware of the controversy, conflict, and debate its definition has caused over two and a half millennia. In common usage today 'magic' is uttered in reference to the supernatural, superstition, illusion, trickery, religious miracles, fantasies, and as a simple superlative. The literary confection known as 'magical realism' has considerable appeal and many modern scientists have ironically incorporated the word into their vocabulary, with their 'magic acid', 'magic bullets' and 'magic angles'. Since the so-called European Enlightenment magic has often been seen as a marker of primitivism, of a benighted earlier stage of human development. Yet across the modern globalized world hundreds of millions continue to resort to magic - and also to fear it. Magic provides explanations and remedies for those living in extreme poverty and without access to alternatives. In the industrial West, with its state welfare systems, religious fundamentalists decry the continued moral threat posed by magic. Under the guise of neo-Paganism, its practice has become a religion in itself. Magic continues to be a truly global issue. 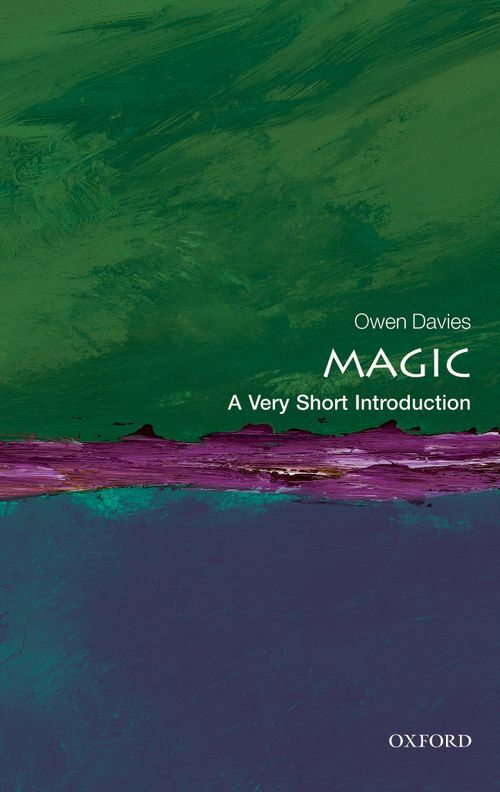 This Very Short Introduction does not attempt to provide a concluding definition of magic: it is beyond simple definition. Instead it explores the many ways in which magic, as an idea and a practice, has been understood and employed over the millennia. 3: All in the mind? Owen Davies is Professor of Social History at the University of Hertfordshire. He has written extensively on the history of magic, witchcraft, and ghosts, including Grimoires: A History of Magic Books (OUP, 2009), The Haunted: A Social History of Ghosts (Palgrave, 2007), and Paganism: A Very Short Introduction (OUP, 2011).